“A thoroughly researched and engrossingly readable history” of gay men and women in the American armed forces by the author of And the Band Played On (The New York Times Book Review). Published during the same year the American military instituted Don’t Ask, Don’t Tell, and eighteen years before President Barack Obama repealed it, Conduct Unbecoming is a landmark work of social justice and a searing indictment of the military establishment’s historic bigotry toward its gay servicemen and women. Randy Shilts’s eye-opening book describes the bravery, both exceptional and everyday, not only of gay soldiers throughout history, but also of gay men and women serving in our modern military. With each anecdote and investigation, Shilts systematically dismantles the arguments against allowing gays to serve in the military. 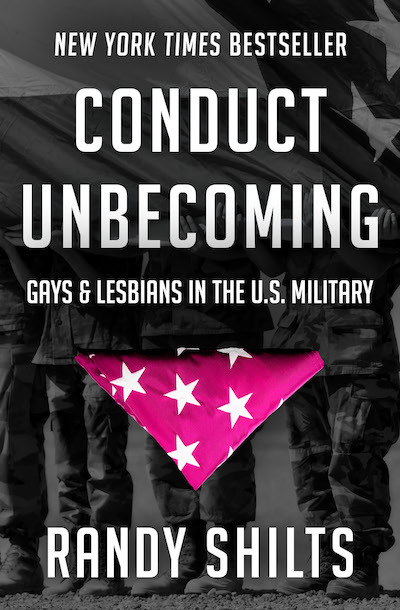 At once a history of the American military and an account of the gay rights movement, Conduct Unbecoming is a remarkable testament to the progress achieved for gays in the military—and a revealing look at how far we have yet to go.